Adorable Cape Cod located perfectly near I-64 at the base of the mountain IDEAL for commuters! 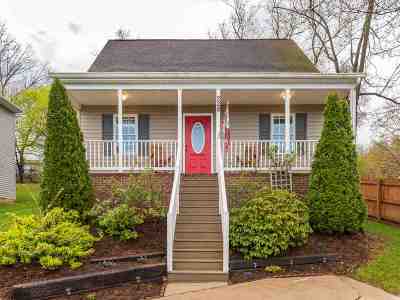 Nestled on a knoll with great city views, you are greeted by the rocking chair front porch & bright red door! Inside, hardwood floors, well maintained home and absolutely move in ready! 3 bedrooms, 2 baths, offers a main floor bedrooms, good size living room and even a formal dining room! Happy kitchen also has ample space with a pantry for all the over sized items! Entertain outback with a partially fenced yard and semi private! Affordable + adorable= HURRY!